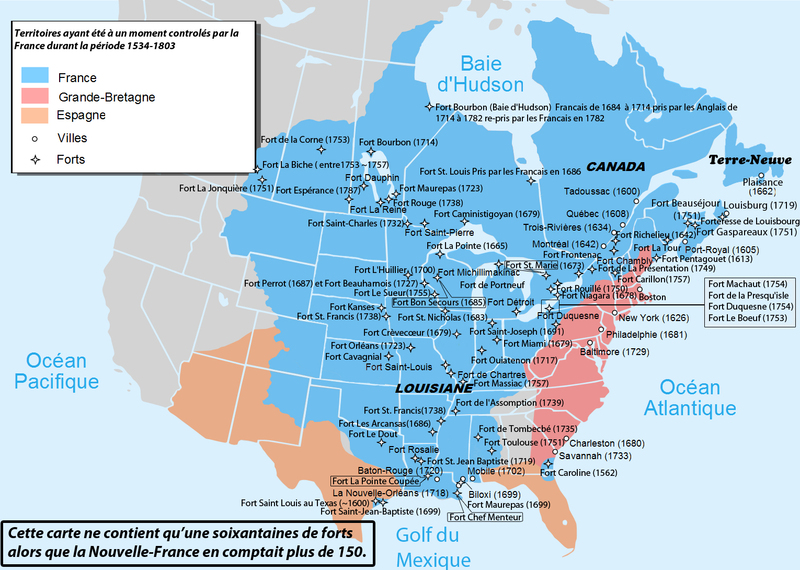 Prior to Britain’s control over all of what was to become British Canada (in the run up to confederation and independence), much of what was New France was governed by administrators based in Québec City and Montréal. It is well known that the reach of New France extended from Labrador in the North, to New Orleans in the South. But surprisingly, today, what were the “westernmost” reaches of New France rarely receive attention in the media or elsewhere outside of the Prairies (especially in Québec itself). It is a history which is better known to students from Western Canada than to those elsewhere (much of this history is mandatory learning material for high school students in the Prairie provinces). When I first moved to Eastern Canada way back when, I was surprised (even shocked) to learn that very few people in Eastern Canada knew anything about the pre-British, pre-1763 New France influence throughout Manitoba, into the heart of Saskatchewan, and even into Alberta. Coming from Alberta and having lived in all four Western Provinces, at the time I simply took it for granted that was a part of history which everyone everywhere knew about. As an aside, I believe it was from the New France era that the word “Soyeu” became part of Prairie French in Western Canada, and particularly Albertan/Saskatchewan French. It’s an old word from Old Picard and old Wallon French which literally means to saw something in half… ie: “Wednesday” (which saws the week in half). In Québec and Ontario, the closest might be the French expression “nombil de la semaine”, but “soyeu” is more of a direct translation for “Wednesday” than it is an expression. When I moved to Québec at the beginning of the 2000s, I told a friend that I would call her on “Soyeu”. It was only when I saw the look her face that I realized that nobody outside of Western Canada knew what “soyeu” meant… Lundi, mardi, “soyeu“, jeudi, vendredi, samedi, dimanche — NOPE… just blank stares in both Québec and Ontario. Nowdays, young Francophones in Alberta generally just say mercredi. However it is still interesting to know that there continues to be somewhat of a direct New France influence on Prairie French. At least two French forts (and possibly two others) were built in Saskatchewan in the 1750s. At least one French fort (Fort la Biche) and possibly one other (Fort la Jonquière) were built in Alberta in the 1750s. After the change of administration from New France to British North America, many of the forts in Western Canada continued to be administered by Francophone-ran trading companies, mostly as trading outposts (with an administration based in Montréal). Others were converted to new regime military installations. Some have been restored and exist as museums today. Fort la Reine became Portage La Prairie (MB). Of those forts which were abandoned, their locations are generally known, and markers have been placed where they once stood (such as the case for Fort Bourbon II, Fort à La Corne, or Fort Maurepas II). Yet many (perhaps most) have not undergone archaeological excavation (a fact which completely baffles me – but which could mean that many new and exciting discoveries are yet to come). 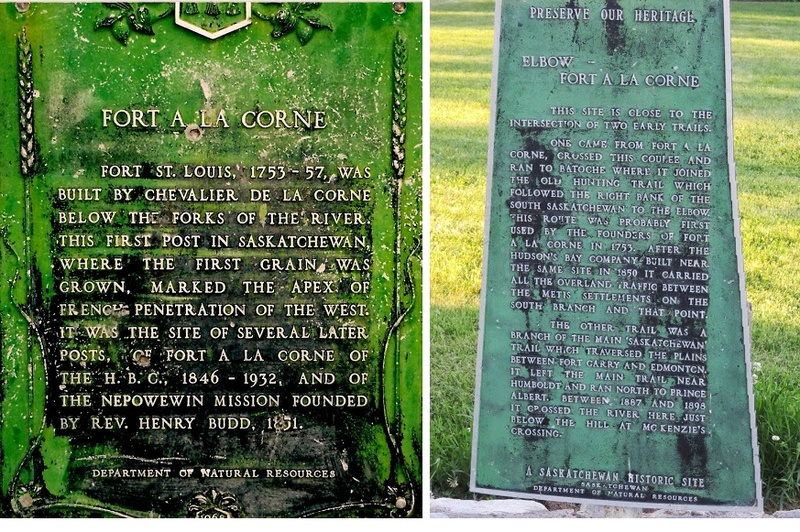 Of all the New France-era forts, the location of Fort à La Corne (in Saskatchewan) is the westernmost confirmed location. It was also the first place grain was grown in Western Canada. Its exact location was on an unstable sandy spit of land on the banks of the confluence of the North and South Saskatchewan Rivers. The spit of land was presumably washed away generations ago, and the earthen cliffs above the land began to fall into the river in 2009. The road and the trails leading to the exact location have now been closed. Yet there were two forts further West of Fort à La Corne, and their locations remain mysteries. I find it surprising that the fate, location, and historic roles of these two westernmost forts do continue to remain a major mystery. Fort La Biche on the “La Biche River” in Alberta (the “Red Deer River” in English) was established at an unknown location. Many speculate it was actually established on or near the actual site of Red Deer Alberta, but I have not seen any proof that Red Deer was the actual location. The internet is almost silent on the issue (offering no proof of location). The location of Fort La Jonquière also remains a mystery, but one with a potentially more exciting story, and perhaps a much more significant role in history. There is a 4th possibility that it could have also been built in the Foothills of the Rocky Mountains, meaning that the men of Pierre Gaultier de Varennes et de La Vérendrye would have been the first Europeans to have seen and possibly set foot in the Rocky Mountains. With the exception of Fort La Biche (Alberta), Fort La Jonquière could have been the westernmost post of the French Empire. Furthermore, if it was located at Edmonton or Calgary, it would have begun a trading tradition with the local aboriginals which possibly could have given rise to later decisions by British explorers and trading companies to establish more modern forts at the same locations (such as Fort Edmonton, which has since become the major Canadian city of Edmonton and the capital of Alberta). 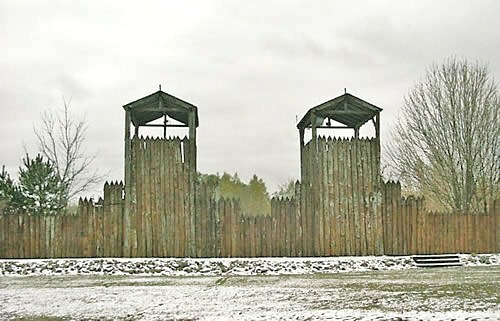 In fact, some have speculated that Fort La Jonquière could have possibly been on or near the site of actual Fort Edmonton (now the site of the Alberta legislature – the seat of Alberta’s provincial government). 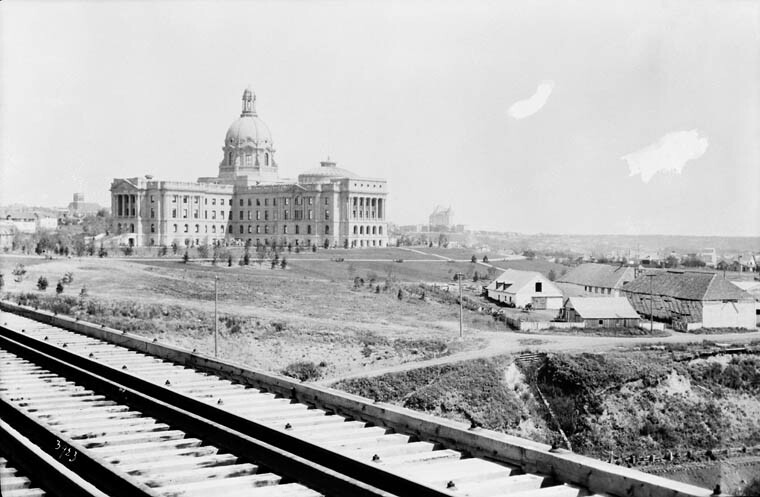 (ABOVE: A photo between 1905 and 1912 in Edmonton, with the Alberta provincial legislative (government) building in the background, and Fort Edmonton in the foreground — possibly the original site of Fort La Jonquière). 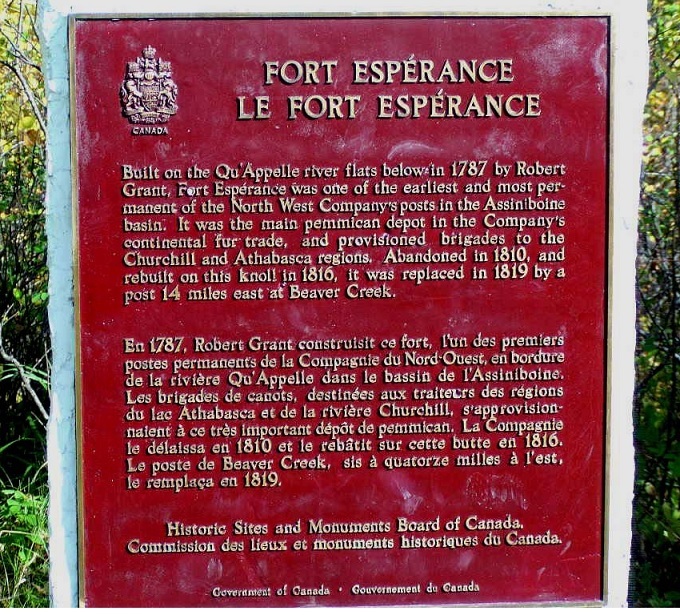 Considering the impact these Québec-administered forts have had in founding Western Canada, I find it amazing that the story, locations, and relevance of two of the most historically significant forts (Fort La Biche and Fort Jonquière) remain a mystery to this day – especially if they were instigating factors in spurring trade, which subsequently lead to later decisions to found Edmonton or Calgary. Some info for additional reading: following the change of administration from New France to British North America, the Hudson’s Bay Company became the de facto government of what was Western and Northern Canada. It quickly established dozens and dozens of subsequent forts across the land. Yet many (perhaps most) continued to be Francophone-administered (despite being under British control). 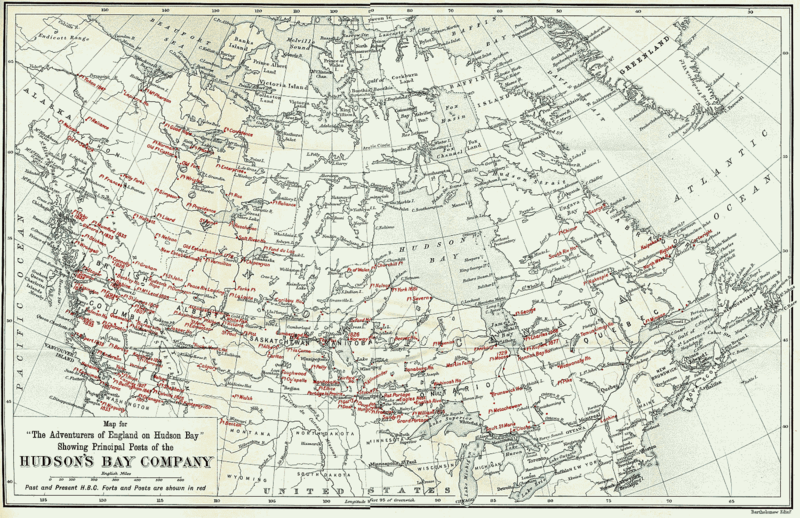 This was a major reason why French continued to be Western Canada’s primary language until the last half of the 1800s (and even into the 20th century in many communities — a legacy of much of Western Canada’s current French regions). If Fort La Jonquière does turn out to be the original foundations of Edmonton… why couldn’t they have found some place warmer, like Florida, or Singapore !?!?! But at least there’s no or little humidity in the Western part of the Prairies. I’ve never found the winters there much colder than Toronto, Ottawa, Montréal or Québec City (where it is quite humid). -25 degrees Celsius with no humidity in the Prairies = -10 degrees in Toronto / Montréal with humidity. But fancy new trains don’t mean that it’s all urban-urban. Even in the most conservative and Anglophone regions of Canada (such as inAlberta’s deep rural South, in the small town of Brooks), we continue to see the legacy of New France’s Prairie. Almost 300 years later, it continues to make in-roads at all levels of government. These are points of pride for people on the Prairies (both Anglophones and Francophones) — otherwise we wouldn’t be seeing such gestures such as the one you’re about to see at City Hall in Brooks.